W Todd Baker is chair of Oblon’s post-grant patent practice group and is a member of the firm’s management committee. 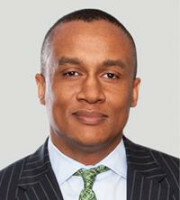 With significant experience in both patent re-examination and interference cases, Mr Baker is uniquely positioned to advise clients on post-grant US Patent and Trademark Office (USPTO) proceedings such as inter partes review and post-grant review proceedings, complementing traditional litigation-based patent validity challenges. Mr Baker has extensive experience handling all aspects of post-issuance proceedings at the USPTO including reissue applications, ex parte re-examination, inter partes review proceedings and appeals to the USPTO’s Patent Trial and Appeal Board (PTAB). Mr Baker also advises clients on issues of priority, patentability, derivation, inventorship and licensing related to patent interference matters before the PTAB. While focused on his post-grant practice, Mr Baker also prepares and prosecutes patent applications in diversified electrical and mechanical technologies as a member of the firm’s electrical and mechanical patent prosecution groups. Mr Baker has worked with automotive-related technology, as well as wireless innovations, medical devices, dynamic control systems and clean technologies.